High capacity to support overloads and perturbations. Excellent performance in case of seismic events and vibrating conditions. High efficiency material and special geometry design to reduce noise emission in the buildings applications. No fire risk caused by flammable materials. No risk of environmental contamination caused by liquid leakages. High efficiency design, reduced maintenance and installation flexibility in the buldings. Compact design for indoor and special room or box dimensions combining terminals position flexibility. Designed and tested for hard enviromental areas from contaminated zones to low temperatures installations. TTR cast resin transformers are distribution, industrial and power transformers with ratings up to 30 MVA. Medium voltage windings are vacuum casted with epoxy resin and they are suitable for indoor or outdoor applications. Outdoor solutions can be realized with a wide range of boxes; for lower ratings there is the new type TTR IP00 (without enclosure), validated according to ENEL regulation. 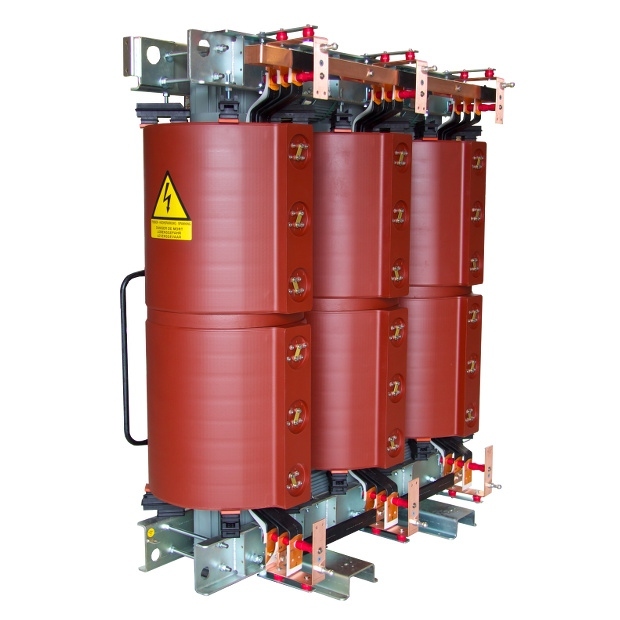 TTR transformer can be used in substations for public buildings, hospitals, airports, and in places where usage of liquid immersed transformers is restricted for fire risk or enviroment protection, e.g. tunnels, marine, cranes, offshore platforms, wind turbines, groundwater catchment areas and food processing plants.